Pressure cookers are the easy, energy-saving, all-purpose cookware that everyone needs in their kitchen. These almost magical devices will be the sole saviors of countless meals, and you’ll soon wonder how you ever cooked without one. But just like every other product, pressure cookers come in wildly different shapes and sizes, at very different price points. But is there really any benefit to spending hundreds of your hard-earned dollars when you could manage perfectly fine on a pressure cooker that costs less than 100 dollars? Below, you can read everything you need to know about the best pressure cookers under 100 dollars. The T-falClipso is made from stainless steel and has a sturdy construction. The pressure cooker comes with two cool-touch handles by the sides and one cool touch handle on its lid. Moreover, the pressure cooker comes with a lid locking mechanism which ensures that it stays locked until it is totally depressurized. Additionally, it comes with a pressure release valve on the lid that allows the user to easily and quickly release pressure from the cooker. The cooker’s sturdy construction ensures that it is a long lasting product and it is compatible with all kinds of cooktops. Furthermore, it is dishwasher safe unit once the gasket and pressure valve is removed. 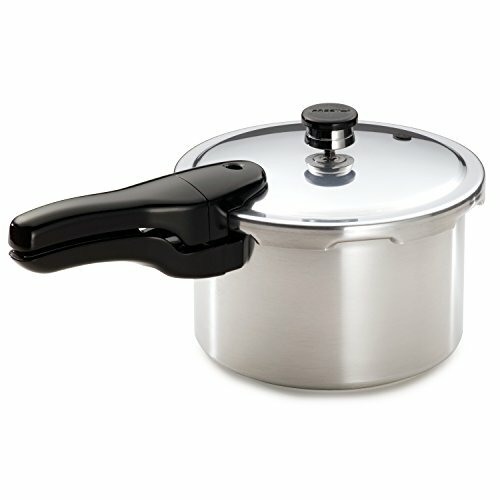 The pressure cooker comes with an encapsulated base which distributes heat evenly. Moreover, the construction of the cooker also ensures that it is easy to use and it is dishwasher safe that makes it very easy to clean. 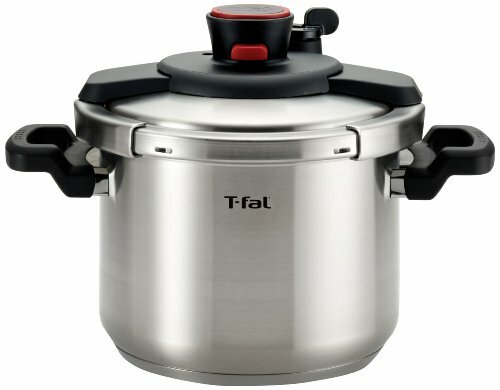 The T-Fal P31052 pressure cooker and canner is made from aluminum and like every T-fal cooker, has two cool-touch handles on the sides and one cool touch handle on the lid. Its aluminium construction ensures that it is a good conductor of heat, capable of cooking food quickly and evenly. Furthermore, it comes with a deluxe pressure gauge dial which makes it easy to know if it is pressurized and when it is depressurized. It also comes with an effective locking lid system which ensures that it cannot be opened until it is totally depressurized. The pressure cooker comes with three different pressure options that ensure that it can be used to cook a variety of foods. 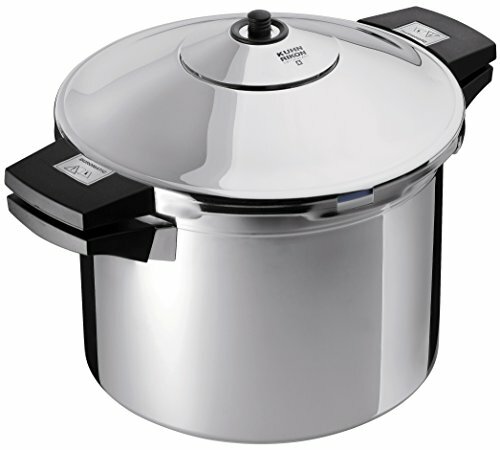 It also comes with an over-pressure steam release mechanism which makes it very easy to release pressure from the cooker. On top of that, it comes with a cooking rack and a recipe book which contains a lot of useful information. The Yedi is made from durable stainless steel and also comes with two cool-touch handles by the sides and another huge cool touch handle on the lid. 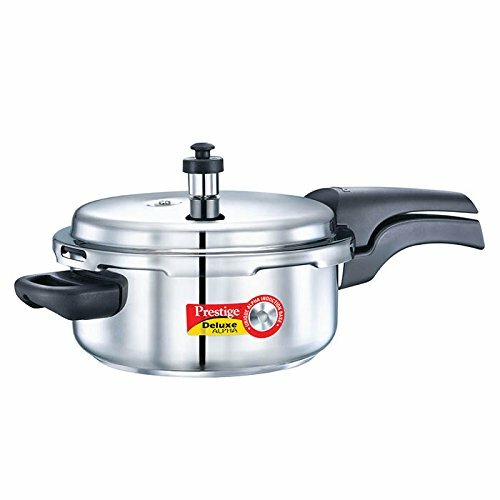 It is a very versatile product that can act as a pressure cooker, slow cooker, rice cooker and steamer. It also comes with multiple pressure settings that ensure that it can be used to cook a variety of foods. The pressure cooker comes with a programmable timer so you can preset when to start and finish cooking. This ensures that cooking does not interrupt the daily schedule of the user. 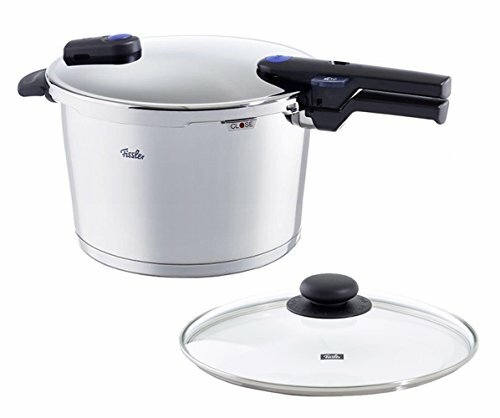 Moreover, the cooker comes with a stainless steel inner cooking pot, steam rack, two cooking spoons and a measuring cup. The cooker is certified with nine different safety mechanisms that make it an incredibly safe cooker to use. The P25144 comes with an ergonomic design and stainless steel construction that makes it compatible with all forms of cooktop. Moreover, it is a large size cooker which is ideal for large families. It comes with two cool-touch handles by its sides, additionally; it comes with a safe opening and closing system. This ensures that the lid is tightly closed until the cooker is depressurized. The pressure cooker also comes with a pressure indicator that displays the pressure inside the cooker. This enables a user know when it is pressurized and when it is safe to open the lid. Moreover, it comes with an overpressure gasket release window that ensures that steam can be easily and quickly released. By its construction, the cooker is easy to use and is dishwasher safe. This is a product that combines affordability with functionality, safety and ease of use. The Presto is made entirely from stainless steel and, just like every high-quality pressure cooker, has two cool-touch handles by its sides. The pressure cooker has an ergonomic design and construction to maximize its functionality. Moreover, it comes with a special tri-clad base which ensures quick and uniform heating. Additionally, it comes with a pressure regulator and this feature is designed to maintain the ideal cooking pressure automatically while you are cooking. This pressure cooker comes with an over-pressure plug to lower pressure and a cover lock indicator which allows the user to know at a glance if the cooker is pressurized. This cover lock mechanism also prevents the cooker from opening when it is pressurized. Additionally, it comes with an inner sealing ring which ensures that the cooker maintains air inside in order to allow it build up pressure quickly, thereby reducing energy use. Moreover, it comes with a steaming basket for more versatility and you will be able to several foods at once. The Mirro 92122A pressure cooker is a remarkably versatile product because it can be used as a pressure cooker and as a canner.It is made from rustproof heavy gauge aluminium and has a sturdy construction. This ensures that the product can last long while withstanding the wear and tear of consistent usage. Additionally, the cooker comes with multiple pressure settings; low, medium and high. Therefore, you can rest assured that you will be able to deliver delicious and healthy meals in no time at all. Moreover, it comes with an effective locking lid system which ensures that it does not open when it is pressurized. Furthermore, it comes with a side gasket pressure release mechanism which ensures that the cooker can be easily and quickly depressurized. It also comes with a cooking rack and a user guide which contains everything you need to know about cooking. Our next pick is the Granite Ware 0730-2 is a versatile and durable product that can function as a cooker, canner and steamer. The cooker is made of hard anodized aluminumto ensure it does not rust or stain. The cooker comes with two cool-touch handles by its sides. 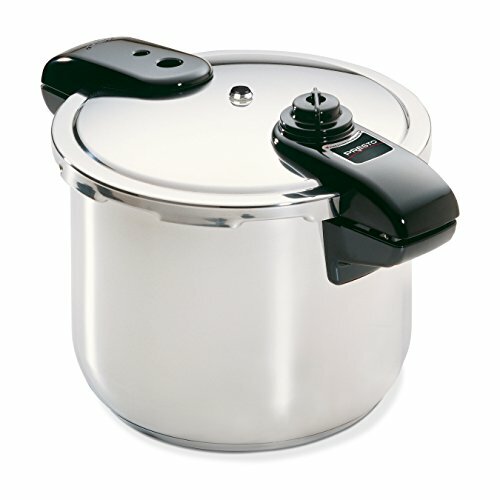 Additionally, its 20-quart capacity makes it a large scale cooker, canner and steamer which is ideal for large families. Moreover, it comes with three pressure settings; low, medium and high to help you cook a variety of foods. 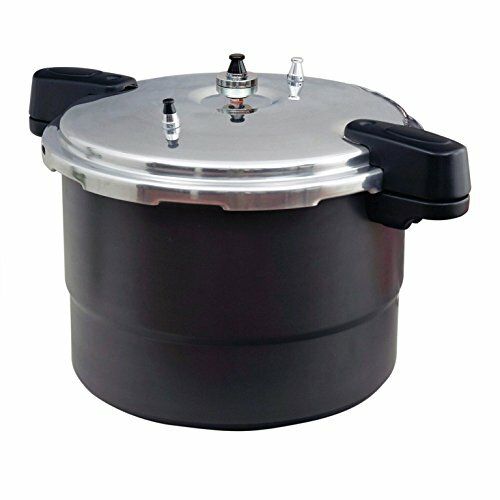 The pressure cooker meets the USDA safety standards for canning and its sturdy, hard anodized aluminum construction ensures that the cooker is suitable for long use. The way it is constructed makes it very easy to use and clean. It also makes it very easy to insert food into it, stir and remove. This is a product that combines versatility with safety and ease of use. The Fagor Duo 4 Quart pressure cooker is made by a leading brand among pressure cooker manufacturers. Moreover, the product has been in the market for 25 years. The cooker comes with an ergonomic design and construction which makes it very efficient. The pressure cooker comes with two pressure settings to ensure cooking versatility. Moreover, the way it is constructed ensures that it is compatible with all kinds of cooktops, including induction. Its construction also ensures that it is easy to insert food into it, stir and remove. 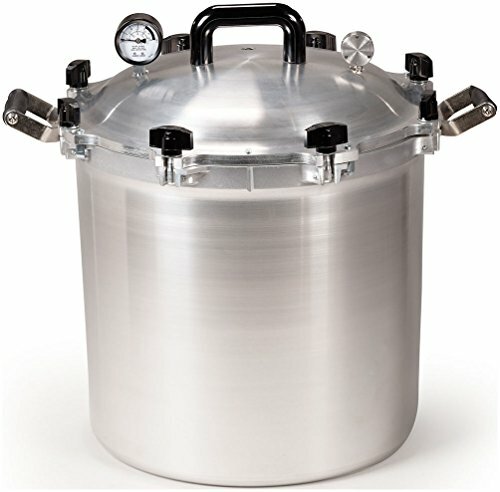 The product conforms to all the safety requirements for pressure cookers and canners in North America and Europe. You can always find the no-frills type of pressure cooker for under $50, but you can also go for more advanced electric pressure cookers that are capable of many other cooking methods. Some even make cake and yogurt! These can go anywhere from $70 to well over $200, depending on size and additional features. But honestly, is a pressure cooker really going to make a cake better than an actual cake maker? Sometimes “all-in-one” products don’t deliver all too well on their many promises. As with hiring professionals, you should always go for the specialist, not the generalist, to get the job done right. Look at it this way: when it comes to sunscreen, once you hit a certain SPF (30, actually), anything above that is just branding and unnecessary additions with little advantage over their cheaper counterparts. The same happens with pressure cookers. In fact, aside from the obvious cost-efficiency of purchasing an affordable pressure cooker over a more expensive one, other benefits include simplicity of use, easier (and cheaper) part-replacements, and in some cases, they’re also easier to clean. So back to the original question: is it really worth purchasing a pressure cooker over 100 dollars? The short answer is no. The long answer is that no matter how many features that expensive shiny pressure cooker has or how popular the brand may be. That same pressure cooker will perform just as well as its 60 dollar counterpart a few shelves down. If you can really say you’ve learned anything during your lifetime of shopping, it’s that a higher price by no means guarantees higher quality. What you’re really paying extra for is the brand, the over-sold materials with catchy marketing terms, the fancier packaging, and probably the import fee. Many experienced food bloggers and cooks have themselves gone for the more affordable pressure cookers, defending their choice by stating how they’ve been happily using their trusty pressure cooker for over 10 years without any issues at all. Many have gone out to buy the exact same pressure cooker they had before because they prefer to go with what they know works well. Others have upgraded to more expensive versions with all sorts of features, just to find themselves using the basic functions you’d get on any low-cost pressure cooker. 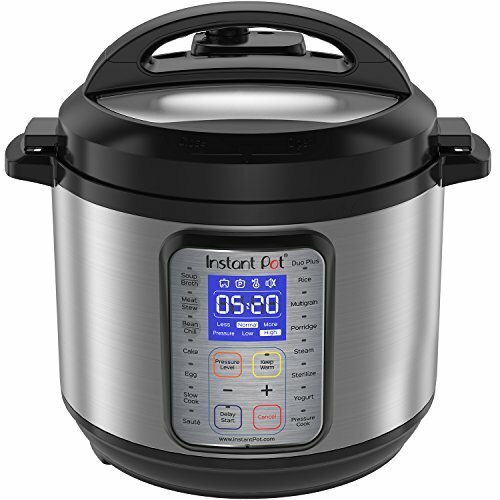 In conclusion, there are countless options online and offline for affordable pressure cookers, many with good quality materials, variable functions, and settings, and sometimes hundreds of positive reviews backing up their trusted and durable performance. So it’s really just a matter of looking in the right places. However, a pressure cooker under $20 will definitely lack some of the best features. So shop smart. 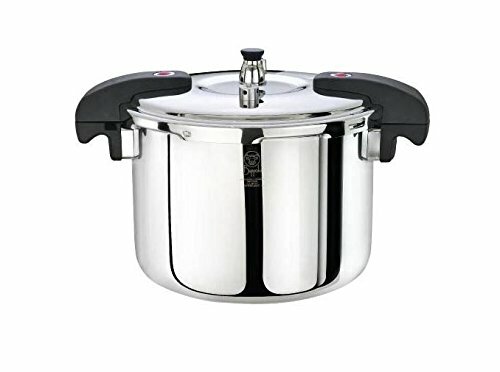 Look for a dependable pressure cooker under 100 dollars where your hard-earned cash actually goes into a quality product that does precisely what you bought it to do.